Luke Bryan is #1 for 3 weeks! Congratulations to SB21 publishing for the recent #1 by Luke Bryan "Most People Are Good" ! The song written by David Frasier, Josh Kear, and Ed Hill has been at the top of the charts for the past three weeks !! Congrats to PPN client, Sam Hunter, on his cut on Willie Nelson's new album !! April release includes Merle Haggard tribute tune "He Won't Ever Be Gone"
For the first time in almost three years, Willie Nelson will release a collection of all-new material. God's Problem Child, out April 28th, the day before the Country Music Hall of Famer turns 84 years old, includes seven songs co-penned by Nelson and his longtime collaborator and producer, Buddy Cannon. Closing the album is "He Won't Ever Be Gone," written by Gary Nicholson as a tribute to the country legend's longtime friend and frequent singing partner, Merle Haggard. He is one of America's greatest songwriters, a hero from Texas to San Francisco, a hippie's hippie and a redneck's redneck. But does anyone really know Willie Nelson? The LP's title cut, co-written by Jamey Johnson and Tony Joe White, includes vocals by both writers as well as Leon Russell, marking one of the musician's final recordings before his death last November. In addition to recording together, Russell was the first person to affix his signature to "Trigger," Nelson's ubiquitous guitar. The album's opening cut, "Little House on the Hill," was written by Lyndel Rhodes, Buddy Cannon's 92-year-old mother. When video featuring Rhodes hearing Nelson sing her song for the first time hit the Internet last fall, it immediately went viral and has since racked up nearly one million views. Watch the video below. Last month, Nelson shared the lyrics of another of the album's tracks, the politically motivated "Delete and Fast Forward," quoting a portion of the song's chorus during a conversation with Rolling Stone: "Delete and fast-forward, my friend/ The elections are over and nobody wins/ But don't worry too much, you'll go crazy again/ Delete and fast forward, my friend." He also jokes that the idea for a tune called "Still Not Dead" came from the fact that he is still not dead. "I got up two or three times in the last couple of years and read the paper where I'd passed away," he says. "So I just wanted to let 'em know that's a lot of horseshit." The release of God's Problem Child, which will be available on CD, 12" vinyl LP and digitally, will be accompanied by the opportunity to packages that will include music, t-shirts and more, available via www.pledgemusic.com/willienelson. The 11-time Grammy winner is nominated for Best Traditional Pop Vocal Album for Summertime: Willie Nelson Sings Gershwin. The Grammys air live February 12th on CBS. 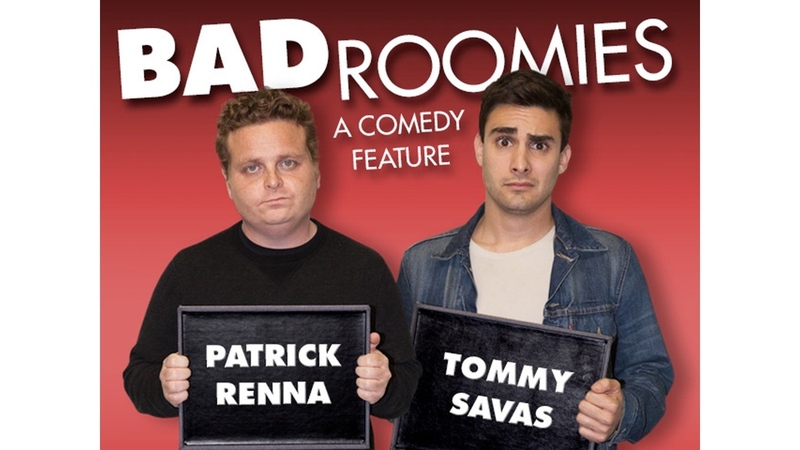 Congrats to our clients, Sam and Joe, upon getting a song placement in the movie "Bad Roomies"
Tracking at County Q with the All-Star Team! PPN is proud to announce the representation of the catalog of Jocko Marcellino. Jocko is a singer, musician, songwriter, producer and actor best known as one of the founders of the American rock and roll group Sha Na Na. Congrats to Sam & Joe Hunter! Congrats to Sam & Joe Hunter on writing the next single and title cut of Ronnie Milsap’s new CD. “Summer #17″ is streaming exclusively on The Tennessean’s site. PPN is proud of our client Andy Sarnoff and his partner Pat Maiorino for their beautiful song “A Mother’s Kiss”. A Mother’s Kiss has caught the eyes (and hearts) of the award winning song writing team of Andy Sarnoff and Pat Maiorino. Songs showcased by ASCAP and the NAPM / Songwriters Hall of Fame in L.A. & N.Y. Perfect Pitch Nashville wishes to congratulate our client, Randy Klein on his Jazzheads record label’s two Grammy nominations! Bobby Sanabria Big Band’s “Multiverse” is nominated for Best Latin Jazz Album. Also nominated for Best Instrumental Arrangement, is Michael Philip Mossman’s arrangement of “Afro-Cuban Jazz Suite for Ellington” on the “Multiverse” album. Nashville: As a Music City resident, Holly has been a successful country music/entertainment journalist interviewing some of the industry’s most notable talents. As a songwriter, she was honored to have co-written the title cut of Holly Bakehorn’s Album. “Yellow Ribbon Prayers,” a song that has served as a comfort for troops, and military families, has received radio play, and gained popularity with a unit in Afghanistan. Holly Tong and Perfect Pitch Nashville are mutually excited to partner up. Please contact us if you would like to consider Holly’s work for your project. Perfect Pitch Nashville is proud to announce that we are now representing works by legendary songwriter Martin Kibbee. Martin was in the band ‘Little Feat’ with Lowell George and has written such hits as “Dixie Chicken,” “Rock And Roll Doctor,” and “Lightning Rod Man” among many others. Contact us if you would like to consider Martin’s work for your project. Catch PPN pitched song “Walk A Little Faster” on rising star AMANDA KARI’s soon to be released album. Amanda has opened for: Blake Shelton, David Ball, George Hamilton, Ronnie Prophet, T. Graham Brown and Ronnie McDowell. Perfect Pitch Nashville, LLC announces that one of the songs they represent was featured on the Coast To Coast radio show hosted by George Noorey. The song “The Least Of Your Worries” was aired over 500 radio stations, with more than 4.5 Million Listeners in the U.S. and featured in the “Emerging Artists” segment of the program. Perfect Pitch Nashville is very excited to announce that one of the songs they represent will be used by Westwood One Radio during Super Bowl XLV. Nashville TN Perfect Pitch Nashville is pleased to announce their representation of legendary Motown bassist, Bob Babbitt’s catalog. As one of the “Funk Brothers” Babbitt has garnered international acclaim for his bass work at Motown as well as numerous other projects, including the recent filming of a Phil Collins documentary that features songs of the Motown era. Internationally, Perfect Pitch Nashville placed 3 songs on the hit Australian trio, The McClymont’s “Wrapped Up Good” CD. The McClymont’s, who are signed to Universal Music in Australia, are the reigning CMA Australia Vocal Group of the Year and are currently on tour with Jason Aldean. The Australian released album is now certified Gold. Locally, Perfect pitch Nashville placed 5 songs with country music group Burns and Poe.